American Airlines has a very generous million miler program. While other carriers only count actual flight miles to earn million miler status, AA has always counted all miles towards million miler. 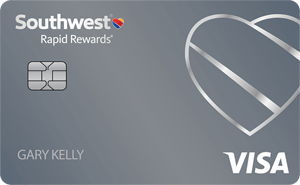 Yup, even miles earned from opening a credit card. miles earned from transferring points from Starwood to AA, or miles earned just for having cash sitting in your checking account. At 1 million miles you become AA Gold for life. If you have a North American address you also get 8 500 miler domestic upgrades and if you have an international address on your AA account you get 4 international upgrades. Effective 12/01 you get 35K miles regardless of your address instead of the upgrades. Gold status normally requires that you fly 25,000 miles per year. At 2 million miles you become AA Platinum for life. You also get 4 international upgrades regardless of the address on your account. You get 4 more international upgrades at every million miler level.. Platinum status normally requires that you fly 50,000 miles per year. The “all miles count” will come to an end on November 30th. From then on only miles earned from flying will count towards million miler status. Miles earned on AA’s $450/year Citibank Executive AAdvantage Mastercard will also still count towards million miler throughout 2012 if the card is opened by 12/01/11. All miles earned by 11/30/11 will still count towards million miler regardless of how they were earned. Anyone who is lifetime gold or platinum will remain so regardless of how they earned the miles to get there. Close to a million? Go for it! -Open an AA card or 3. -Through 08/31 you can buy 50K miles for $1,105 including taxes here. -You can transfer 20K Starpoints into 25K AA miles that can be earned from the Starwood Consumer or Starwood Business card. 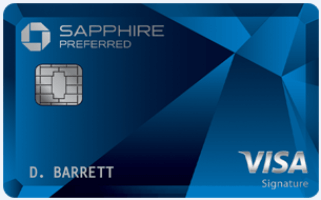 Starwood also sells Starpoints, but at 3.5 cents per point they don’t come cheap! -You can transfer Diners Club points into AA miles at a 1:1 ratio. 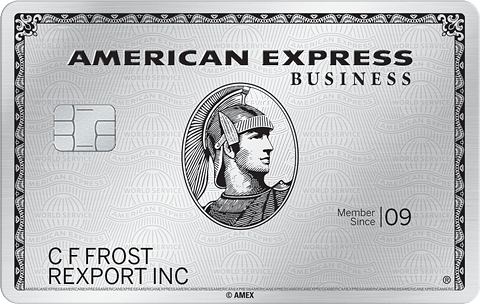 -AMEX Membership Rewards points don’t transfer to AA, but if you’re really really desperate then I suppose you can transfer 60,000 MR points into 20,000 Starpoints into 25,000 AA miles. -Go on a mileage run and fly somewhere just to earn miles! Post a comment with other suggestions! What do you get for being elite? -Priority checkin, security, and boarding. 51 Comments On "AA Nixes Its Overly Generous “All Miles Count” Million Miler Program…"
I’m at 1.85 million miles but don’t fly them much anymore. What’s the easiest way to get my 2mm? Could I transfer Starwood points from my wife’s account to my AA account? Hi Dan, can someone else apply for a card and my AA number? Can someone explain what all this upgrade stuff means? Why was the forum post on this pulled? The safer way to do it would be to transfer the points from your wife’s Starwood account to your Starwood account and then transfer the points. People on the forum have successfully done that. YMMV. 4 upgrades that are good for paid international flights or 8 upgrades that are good for 500 miles of paid domestic flying. HOWEVER, I just applied for a bunch of cards recently so i need to wait till some of the inquiries fall off. How long do you think i can wait to apply for these cards and have the bonus points post before its too late? BTW i’m currently holding at about 150,000 and hoping to net another 350,000 miles before its too late…. Think its possible? or am i being unrealistic? Do your lifetime miles that you have earned to date still count towards million miler or will they recalculate based on miles flown? 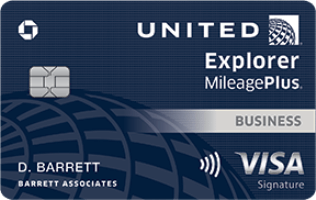 Just opened a CitiExecutive World Elite Card – 25K miles and waiting for another 50K miles to post to my AA account from another Citibank card I opened recently and then I got 1M miler Status! Thanks Dan! Could I prepay a Citi AA card in order to get more buying power? Any miles earned by 11/30 will count towards million miler. 3MM, but I’ve been concentrating of late to get my wife up to 2MM. On the consumer cards you can. Correct, in Canada or the UK I know the MR:SPG ratio is 2:1, so 80K MR would get you 50K AA if you are based in those countries. Definitely easier to swallow than the 60K MR=25K AA here in the US. 1) If I presently have an AA Amex and AA Visa biz (biz card approved april 2011), can I get a bonus for a regular AA Visa or AA MC? 2) Can my parents or sibling living at the same building address, apply for an american airlines visa and amex and use my ff# on their application? 3) Is there a maximum on the amount of SPG points I can buy in a year? Gang: I plan on doing 3 AA card app under wife’s info since AA all miles pgm ending. I saw some were successful putting ownn FF # and it working on wife’s app. Anyone have it work recently on AA? If it doesn’t work, will they default their system to her #? Was thinking to do 2 apps my #, 1 hers. Thoughts? Lastly, I looked up AA policy to share miles. Looks like a 40k mile max transfer per yr and it appears there is a cost to it. Is this accurate? Thx! How do I prepay my card? Can I apply for another AA card if i already have an AA card? and Can i use the same FF# to get the additional miles as the first card or do i need to create a new FF# so that they will deposit the miles? Because i once opened a strawood card, closed it after the 10k points, and reopened it with the same strwood # and they wouldnt deposit the additional 10k points because the account # already had a 10k sign up bonus that year. any input would be appreciated, thanks! Wrong, the exact opposite is true. You can’t do that with earned upgrades but you can for the comp upgrades you get for getting 1MM. If we happen to have a choice, would you recommend to hit 1mm before December or perhaps to wait until after the change? In other words, is there a benefit one way or the other? To all those who’ve already earned their “gold” or “platinum” status, what makes you think that AA won’t revoke it? They can change the rules whenever they feel like it. Dan, I just hung up with AA again. My account does not qualify because they are “complimentary”. Any suggestions? They said they will not revoke it and that it is lifetime status. Try again and ask for a manager. Or send a PM to AmericanAirlines on Flyertalk. Won’t work. Amtrak has major restrictions on transferring points. That tool is way out of date. @question: This is true however i would think they would want to maintain the elite status customers to encourage them to keep flying AA with the perks as opposed to putting their business with a competitor airline who may have status matched to AA’s elite status or is just on par now with every airline providing standard service. Perhaps AA further would reason that whether the elite member got there through flights, purchases, or working the bonus miles, that’s a good customer to keep in status. just a few thoughts since you posed the query. Dan: any thoughts on my post #18 above? OR WHERE CAN I SEE THIS OFFER TO GO BACK TO THEM?? im at 700,084. just signed up for 75k citi aa card. Where can I still sign up for the AA 75k bonus? Is it worth transferring the bonus coupons for 35000 miles or to keep it for upgrades? Which is better? can i change my wifes first name to mine, and combine accounts? in order to archive 1MM? both last names and addresses are the same. Do gifting miles currently count toward recipients lifetime elite status? Fee for gifting? I have a citibusiness AAdvantage card. will this still accrue miles toward 1million, or is it also being phased out? They don’t count towards annual elite status, but all miles count for million miler status through 11/30/11, including gift/share miles. Not that those options are free, but they’re options. 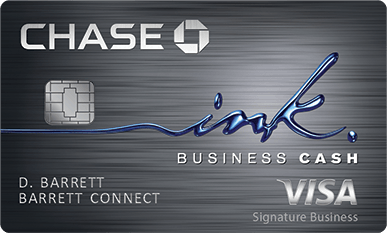 Only the card mentioned in the post will earn million miler miles after 11/30/11. Just did a 3 browser push for my wife for two 75k Citi Visa cards and one 30k amex card (didn’t think i could hit the $4000 threshold before 11/30) with my FF#. Approved instantly on all 3! hopefully cards arrive and miles get deposited in my account. i have 1.65 million AA lifetime miles and i am focused on getting to 2 million even if it means using up all the miles. right now i have about 450k in my AA account. what is the best strategy for transferring out of AA and then back in again, even if it means burning through them all and not “using” them for anything but status? also i have 25k continental one pass and 30k united mileage plus miles. i want to use these for the 2 million march as well, any ideas? Dan, since we r up against the nov 30 deadline, when do we “earn” the miles? When we hit the spending threshold or when AA deposits miles into the account? I just got 2 Citi cards so I must wait till about mid October to apply again (60 days) so not sure if enough time to get miles posted in my account b4 nov 30. AA website says posting done 8-10 weeks after earned. Thoughts? Ok end of hallucinations. Your ideas here are quite incredible coming from someone who already had earned 1.65 AA miles. I would think you would understand a little more about how these things work. If you are willing to pay to reach your status, then you can transfer them to me and I’ll transfer them back to you, so you’ll reach your status, and stay with your miles, you’ll only be paying the transfer fees (which is quite expensive). 2nd what is going on with the 75k is there a code for it ?? How do i transfer AA miles to CO? THat is a great idea. Would this work? Can i stil do a transfer today from starwood and have it done by 11/30? Yes, it will be backdated to today. Fyi i just had 50k post today which still went in my lifetime into the lifetime counter.